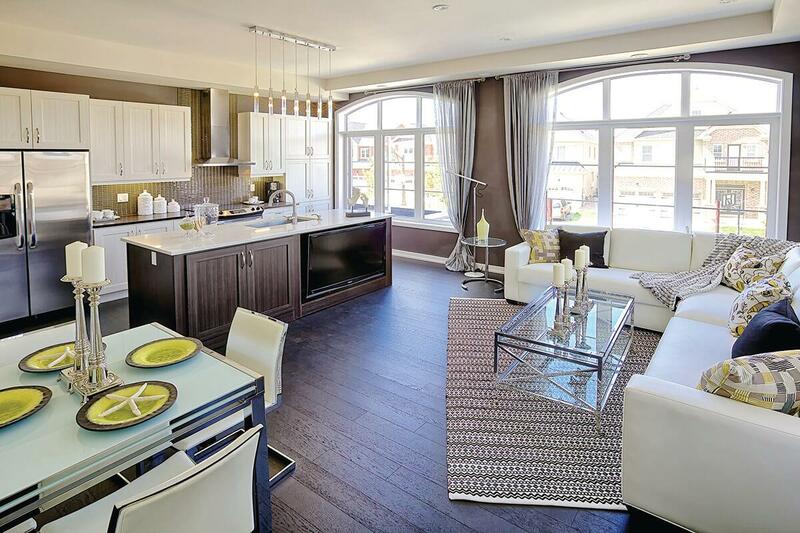 Geranium has quick move-in homes available in Whitchurch-Stouffville! We just received some exciting news from Geranium - they have quick move-in homes available in Whitchurch-Stouffville! There are homes you can move into right now, and some that will be ready for January 2019 occupancy. The move-in now homes are available at Uptownes. 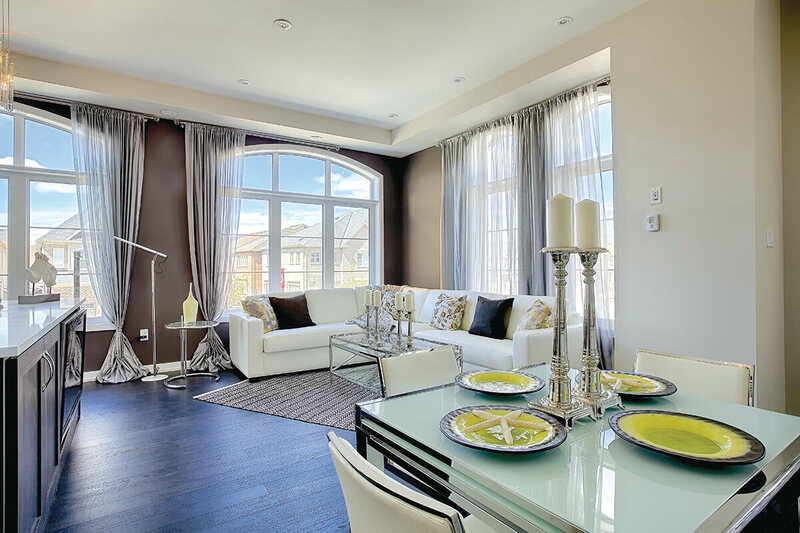 There are three townhomes, two of which are the stunning builder models. And yes, the furniture is available for sale. The interiors were designed by the very talented Jo-Ann Capelaci, and we’ve had the pleasure of touring the homes. They’re bright, spacious, and built to the highest quality. The builder models feature 10’ ceilings, upgraded cabinetry and stainless steel appliances, two-car parking, and they both have rooftop terraces, one facing east and the other facing west. The townhome at 180 Glad Park Ave. is 1,461 square feet and priced at $609,900. The larger of the two at 184 Glad Park Ave. is 1,594 square feet and $619,900. At 192 Glad Park, there’s a townhome available for a quick move-in and it’s not one of Geranium’s models, so there is no furniture for sale, and it doesn’t have some of the upgrades included, but it’s still an amazing move-up opportunity, featuring 10’ ceilings and a rooftop terrace. This town is 1,412 square feet and priced at $579,900. In the same neighbourhood, right on Main St., Geranium has a few suites and townhomes available at Pace on Main. The available suites and townhomes range from 879 to 1,779 square feet with floor plans from one-bedroom to three-bedroom. Whether you’re a move-up buyer, a couple, or empty nesters, there are options at Pace on Main. A few of the impressive features and finishes at Pace on Main include 9’ ceilings, quartz countertops, upgraded laminate flooring, and stainless steel appliances. You can move into your new home at Pace on Main as early as January 2019. Prices range from $528,900 to $849,900. Contact Geranium for more info! Geranium’s website has more info about all of their available quick move-in homes in Whitchurch-Stouffville. If you want to get in on these final remaining homes, then you should act quickly. Now that the word is out that only a few are available, they will likely get picked up pretty quickly! For more details and to inquire about purchasing, call 905-477-1177.